We are excited to send you some details of youth programming and the contact information. We also want to remind you the dead line for souvenir advertisements and articles is April 15th. You will find all the details at the convention.jaina.org. The Opening Parade of Jain Centers is on Friday, July 3rd. All children are invited to come enjoy the parade with their parents and families! Kid's Club check-in will start at 12:45pm after lunch. Youth Activities Programming Committee is working around the clock to make sure your 2015 JAINA Convention experience is unforgettable. We are planning fun filled activities, dancing, hands on activities, workshops and seminar sessions like building self-confidence. LEARN MORE! 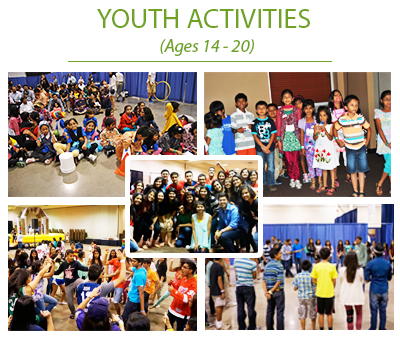 Youth activities are being developed to fulfill on the following intentions. The first is for youth to increase their understanding of Jain spirituality and principle awareness through a theory and real-world experience. These sessions will improve leadership skills by engaging Jain youth with individuals with technical expertise, to inspire and motivate Jain youth. Through out the convention they will create long lasting friendships to strengthen the youth network into the next generation. LEARN MORE! Details to come. JNF is open to young Jains, who are interested in social networking and provides a strong network of young Jains through social and spiritual activities. 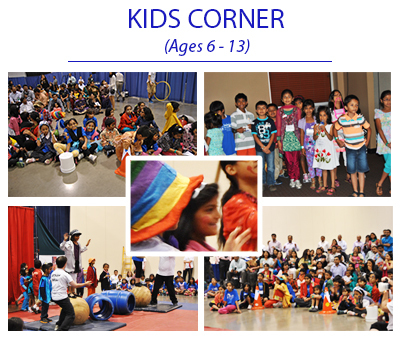 JNF activities utilize attendees' diverse backgrounds and interests to build friendships and carry Jain dharma into the next generation. JNF ensures to increase awareness through interactive sessions that relate Jain theory to real-world issues; and provide sufficient social opportunities to strengthen the network. LEARN MORE! 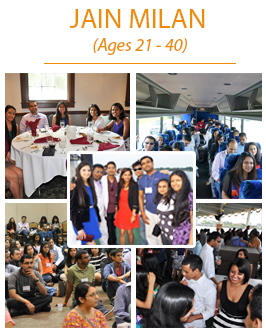 YJP is open to young Jains, who are interested in professional networking and provides a strong network of young Jains through professional activities. YJP activities utilize attendees' diverse backgrounds and interests to build friendships, and carry Jain dharma into the next generation. 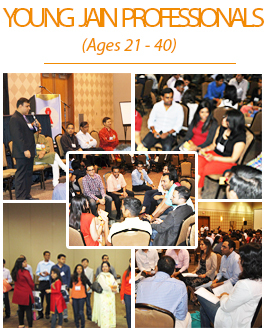 YJP increases awareness through interactive sessions that relate Jain theory to real-world issues; improve professional skill set with individuals in similar fields to be inspired & motivated. ** Details to come. 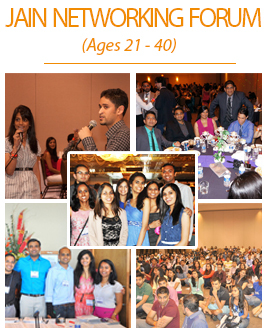 * Jain Milan registrants can attend JNF, and YJP and general adult programs. ** JNF and YJP can attend all programs including general adult programs except those specifically geared towards Jain Milan. Join us at Atlanta to celebrate the JAINA Convention. Register for convention and hotel at the convention.jaina.org.